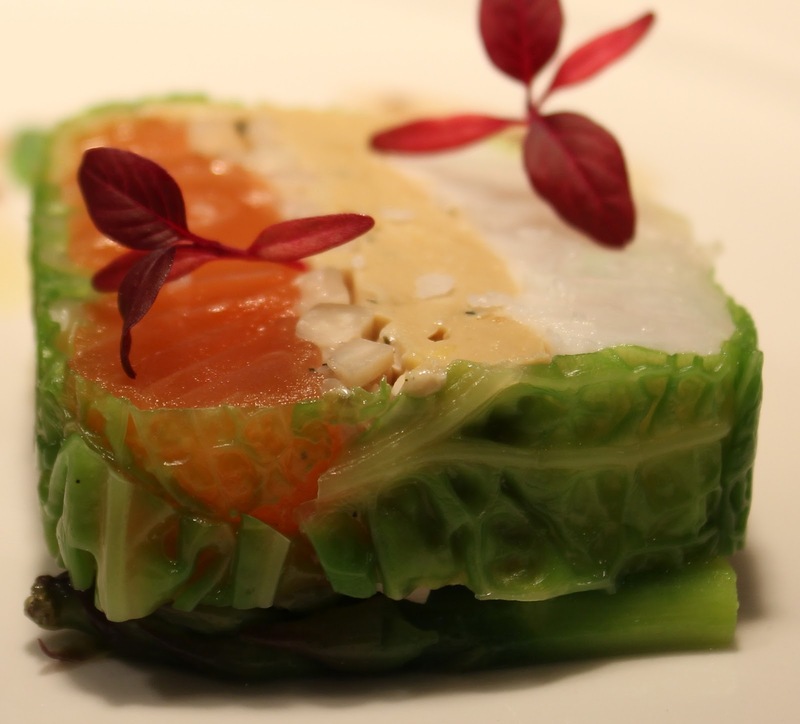 for this raw seafood terrine. 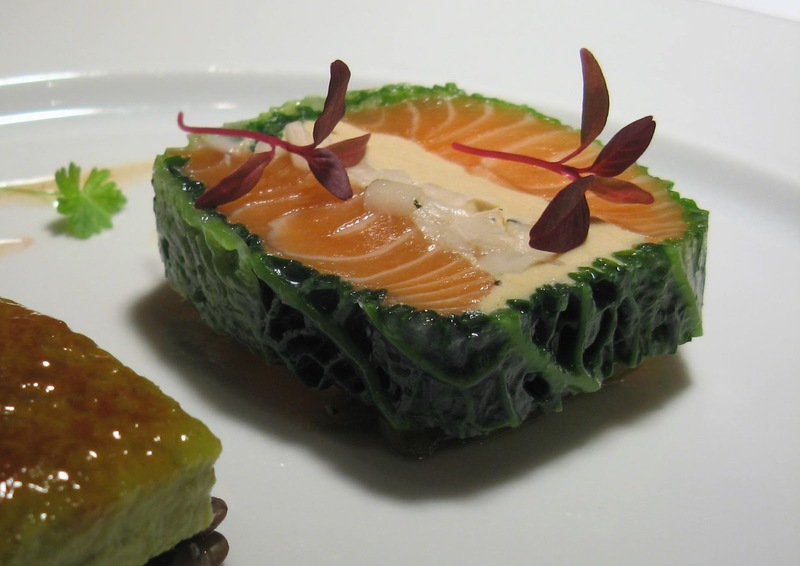 A verjus macerated asparagus salad is placed underneath lending its brighness to the above. 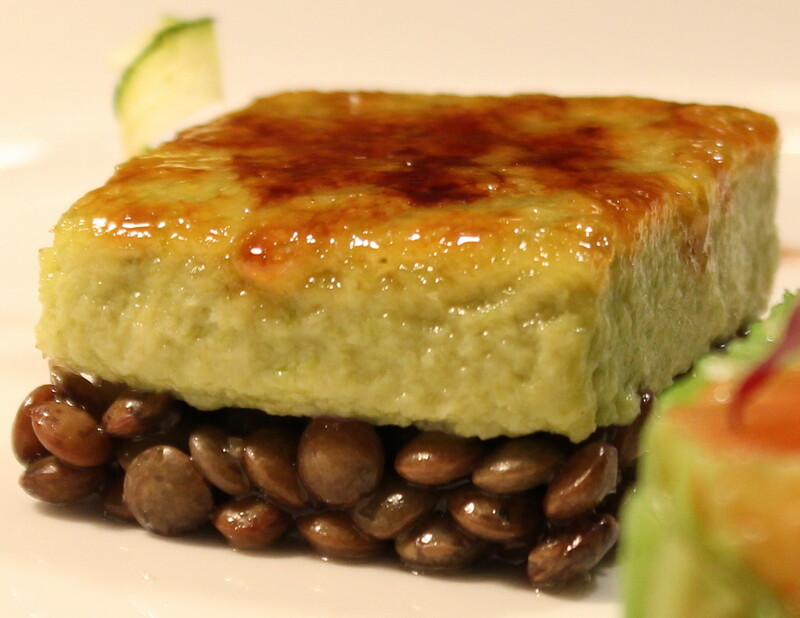 Lentils could easily be strewn about the plate, instead in this course they are built into the base of an asparagus creme brulee with the sweet sugary crust that so effortlessly matches the foie gras. 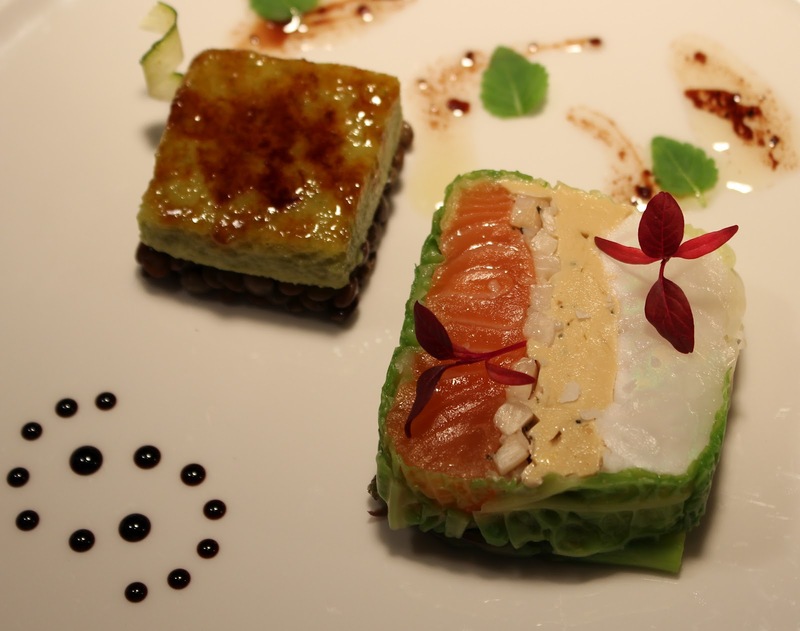 Substituting two pieces of fresh salmon plays nicely with the foie gras.